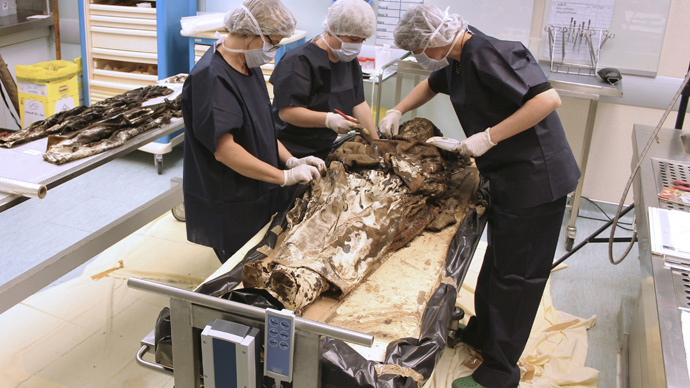 JNN 04 June 2015 Paris : French archaeologists have uncovered the well-preserved body of a noblewoman who died 350 years ago – along with the clothes in which she was buried, including her cap and shoes, still intact. The corpse of Louise de Quengo, a widow from an aristocratic family from Brittany, was discovered in an hermetically sealed lead coffin placed in a stone tomb at a convent chapel in the western city of Rennes. Researchers expected to find little but dust and bones when they opened the fifth coffin and were astonished to discover the nearly intact body of De Quengo, Lady of Brefeillac, who died in 1656, some time in her 60s. They were able to identify the 1.45 m (5ft) body because of inscriptions on a relic containing the heart of her husband, Toussaint de Perrien, Knight of Brefeillac, who died in 1649. Archaeologist Rozenn Colleter, of the Institute National de Recherches Archaeologiques Préventive (National Institute for Preventative Archaeological Research), was present when De Quengo’s coffin was opened. “It was a very beautiful discovery,” Colleter told the Guardian. “We saw at once there was not just a well-preserved corpse but a mass of material that was still supple and humid, and shoes. Because the coffin was completely sealed it had kept everything preserved. A postmortem examination revealed the woman had kidney stones and what radiologist and medical examiner Fabrice Dedouit said were “lung adhesions”. He said De Quengo’s heart had been taken out with “real surgical mastery”. “With Louise we had surprise after surprise,” Dedouit said. The lead coffin was spotted under one of the convent’s supporting walls two years earlier but could not be removed without damaging the building. It was only last March that the archaeological teams were able to take it out. De Quengo was dressed in simple religious vestments: a cape, chasuble, a brown habit in coarse wool, a plain linen shirt, wooden leg warmers, and leather shoes with cork soles. A devotional scapular was wrapped around her right arm and her hands were joined and holding a crucifix. Her face was covered with a shroud, two bonnets and a hood. Researchers, who included specialists from the national Molecular Anthropological Laboratory, say it is possible the noblewoman entered the monastery after becoming a widow. 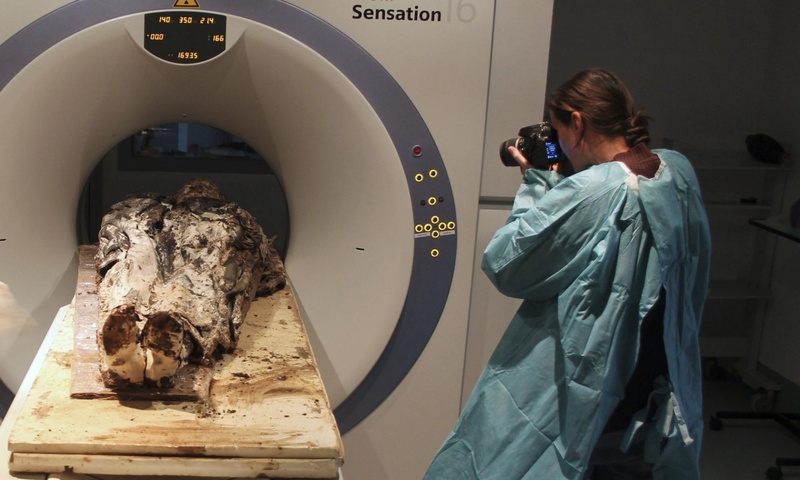 The corpse, uncovered in 2014, will be reburied in Rennes later in 2015, archaeologists have said. De Quengo’s clothes and shoes have been restored and are expected to be put on display. This entry was posted in Europe and tagged De Quengo, France, Heart, hermetically sealed, Institute National de Recherches Archaeologiques Préventive, Knight of Brefeillac, Lady of Brefeillac, Louise de Quengo, National Institute for Preventative Archaeological Research, Noble Woman, Rozenn Colleter, Toussaint de Perrien. Bookmark the permalink.